From Cape Horn to Escape To Switzerland, from	The White Spider to Nanga Parbat Pilgrimage, we can help you find the mountaineering books you are looking for. As the world's largest independent marketplace for new, used and rare books, you always get the best in service and value when you buy from Biblio.com, and all of your purchases are backed by our return guarantee. 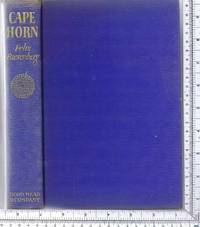 The story of the Cape Horn region, including the Straits of Magellan, from the days of the first discoveries, through the glorious age of sail, to the present time, recounting the exploits of Magellan, Drake, Schouten, Fitzroy, Darwin, Melville and many others, including the author's own experiences. The White Spider dramatically recreates not only the harrowing, successful ascent made by Harrer and his comrades in 1938, but also the previous, tragic attempts at a wall of rock that was recently enshrined in mountaineer Jon Krakauer's first work, Eiger Dreams. For a generation of American climbers, The White Spider has been a formative book--yet it has long been out-of-print in America. This edition awaits discovery by Harrer's new legion of readers.